Good morning SCT friends! First, thank you so much for participating in our 8th annual “12 Days of Holiday Giving!” you made it super exciting for us and your comments were incredibly heartwarming. We loved them all! There is no doubt we are blessed with the best readers in the land! We are also so blessed with an incredible Creative Team, and as you could see some of the best companies to work with in the industry. Without you, our team and our partners we could not do what we do so in the season of giving and being grateful, we are sure grateful for YOU! And for being the best readers out there, we have a little surprise for you from our friends at Taylored Expressions so be sure to check it out below! But without further adieu, let’s announce the winners! 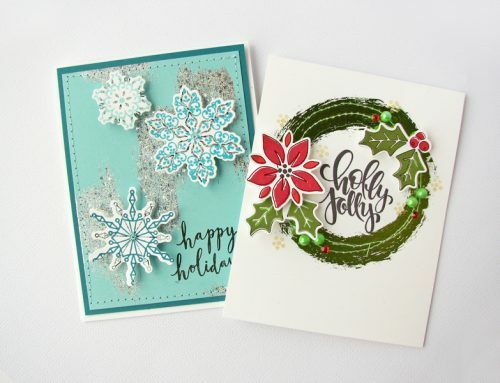 Day 1 – Creative Memories Glacier prize package, American Crafts Sweater Weather prize package and a copy of the winter issue of Scrapbook & Cards Today! Congratulations to all our winners and again thank you SO MUCH to all of you who left us comments. We wish we could share a prize with each one of you! To claim your prize, please send your full name, mailing address and telephone number (this is important!) to us at ideas@scrapbookandcards.com and we will share that with the companies that sponsored the prize. Thank you to our friends at Taylored Expressions for this fun giveaway! To enter please leave a comment below by December 31st! Good luck!!! We also hope you take just a second to visit Taylored Expressions on their Facebook page and let them know we’ve sent you! They will love hearing from you. 12 Days of Holiday Giving – WINNERS!!! 12 Days of Holiday Giving – DAY 12!!! 12 Days of Holiday Giving – Day 10! 12 Days of Holiday Giving – Day 9! Congrats to all of the lucky winners. Have fun playing with your new goodies. Congratulations to all the winners! Thanks to SCT and Taylored Expressions for a great surprise. Wow the prizes just keep coming – I shouldn’t be surprised- you guys are Amazing. And the surprises just don’t end. Thank you so much Tailored Expressions and Scrapbook and Cards Today for putting this cherry on the sunday!! And a very Merry Xmas to all of you and your families. And may 2018 be craftier than ever. Would love to start the new year off with this wonderful prize pack from Taylored Expressions! Merry Christmas and a joyous surprise Thank You to Taylored Expressions. I hope 2018 will find you with lots of Sparkle and Shine. Congratulations to all of the winners! I ❤ Taylored Expressions and would love to win this calendar set to help ne plan the new year. Thanks for the great giveaways! Thank you again for sponsoring the 12 Days. Merry Christmas to you and all those who work so hard to make SCT such a success! Would love to be part of this surprise! 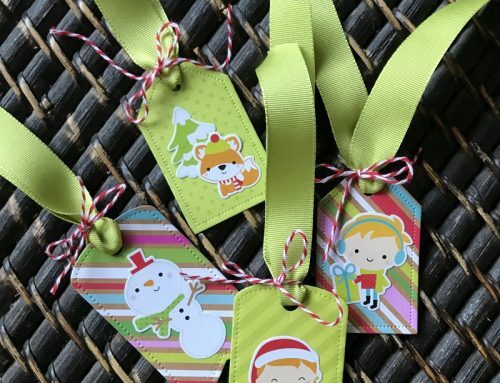 Congrats to all the winners – such awesome treats for crafters at Christmas. Congratulations to all the winners. What a great surprise. Another chance to win. Merry Christmas! Congratulations to all of you lucky winners!! Thank you Taylored Expressions for offering such an amazing prize package. This would be so much fun to color and put together. Congrats to the winners, enjoy your goodies! I would love to win today’s prize! Merry Christmas to all!! Congratulations to all the winners and thanks again to all the great sponsors. Another prize you say… great. Taylored expression you rock. Can’t wait to see who the lucky winner is. Thanks SCT for this exciting annual event and congratulations to all the winners. And a huge thanks to Taylored Expressions for this bonus prize! And… WOW this is super amazing surprise! Congratulations to all the lucky winners. Enjoy your fabulous prizes! Thanks for another lovely surprise prize. I would love to create my own calender with hand-coloured images. Such a fun idea. It would also be great to gift some hand-coloured calenders to friends and family to spread some love. Merry Christmas everyone! Congrats and thank you to the amazing sponsors. This would be a wonderful gift to me? I know it would fit. Thank you for the opportunity and the wonderful inspiration. Merry Christmas to everyone. Congratulations to all of the winners! What a fun, cute and generous prize from Taylored Expressions. Congratulations everyone!! Merry Christmas! And thank you Taylored Expressions for s beautiful prize! Congratulations to all the winners. what a fun surprise giveaway thanks for the chance to win. Congratulations to all the winners and thank you to Taylored Expressions for their generous offer. Thank you to all the sponsors of the fantastic prizes. Thank you SCT for the opportunity to win! Thank you to Taylored Expressions for the incredible bonus prize — what a great way to kick off a new year of crafting! Merry Christmas and Happy 2018! A big congratulations to all the winners and thankyou to all the great sponsors. Congrats to all the winners and just enjoy!!! Congrats to all the winners! Looking forward to everything SCT has in store for us in 2018. Thank you Taylored Expressions for the opportunity to win another fabulous prize! Merry Christmas SCT and crafty friends from all over! Congratulations to all the winners! Thanks for one more prize! Congratulations to all the winners . Thanks to Taylored Expressions for another contest. Thanks to SCT and have a Merry Christmas everyone!!! Thanks to CS for this great countdown to Christmas! We love surprises like the last one!!! Thanks to the sponsor! Congratulations to everyone and wishing you all a Merry Christmas! One more surprise for us all, thank you SCT and Taylored Expressions, what a great way to end the year! 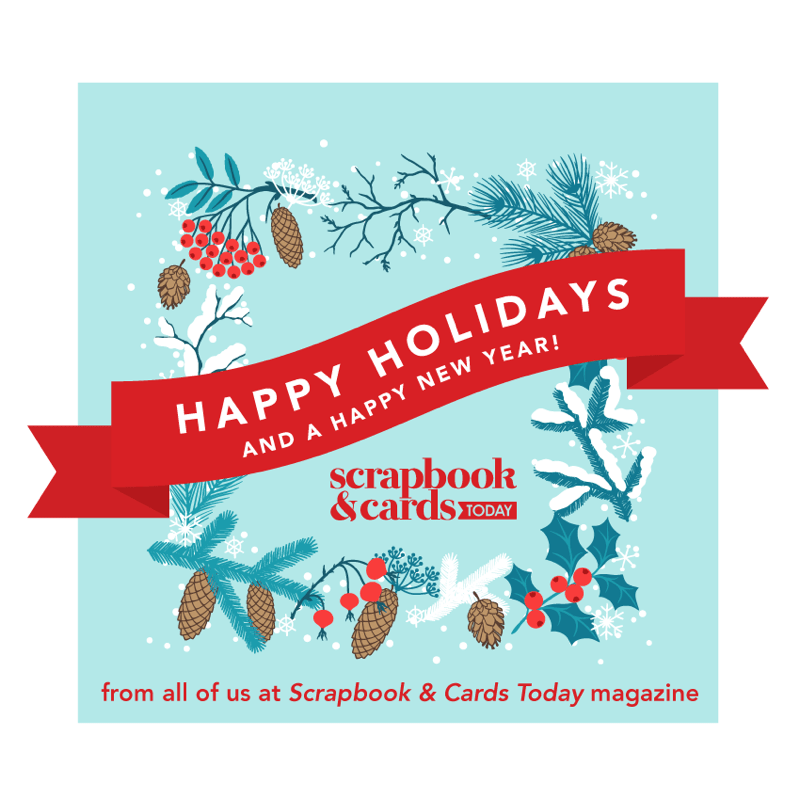 Thank you Scrapbook and Cards Today for your holiday prizes to win. Congratulations to all the winners and to Taylored Expressions for their next great prize! Congratulations to the winners. Thanks to Taylored Expressions for another chance. Congratulations winners! Thank You Taylored Expressions for the wonderful prize! Great way to celebrate. Congratulations to all the winners. I would love to wish everyone a very Merry Christmas and a Happy New Year! Thank you for another wonderful prize to win. The surprises keeps on coming! Congratulations to all the winners! And a Merry Christmas and happy holidays to all. As I sit here looking at all the snow outside i wish you all safe travels this holiday season. Love this calendar kit! Congrats to all the lucky winners and thanks to Taylored Expressions for the surprise! year it will be easier if I have this die. Thanks for another chance to win something from a wonderful company. Congratulations to all those who were lucky enough to win prizes…Isn’t SCT an exceptional source of inspiration, projects, talented design team members, prizes, and fun? 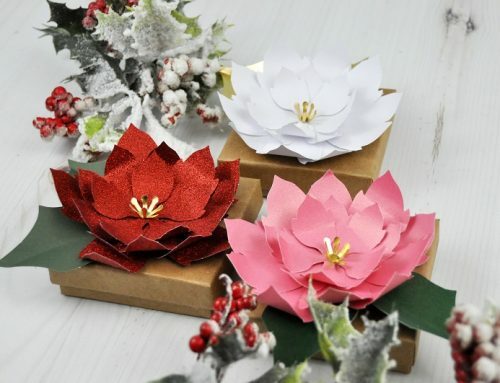 SCT is probably my go to source for ideas not to mention a wonderful magazine (I just love to hold and look through a magazine), kits and what’s happening in the paper crafting industry. I love all your sponsors and appreciate all you do for the paper crafting world. Thanks for another chance to win and Happy Holidays!!!!! Congratulations to all the winners! Thank you Taylored Expressions for the additional prize! SCT is awesome! Congratulations to all the winners and what a nice surprise Thank you Tailored Expressions. This calendar would be a perfect start to the year. Thank you again SCT for all the great ideas. What a fun giveaway from Tayloref Expressions! Congratulations to all the winners! Huge thanks to SCT and Taylored Expressions for another crafty giveaway! Crafting is my own personal therapy, it makes me happy, works my brain and shares my love with family and friends. Thanks to all the great companies who inspire us to be crafty! Congrats to all the winners! Beautiful prize from Taylored Expressions!! Thanks SCT for bringing us the 12 Days!!! Congratulations everyone! Enjoy your fabulous prizes! Thanks Taylored Expressions for a fabulous surprise giveaway. I love all of Taylored Expressions products and everyone there is so kind. Congratulations to the previous winners! How fun to have another change to win. TE is quickly becoming a favorite company of mine. I love these colorable calendar images! You guys rock! Congrats to the winners. Thanks for yet another awesome giveaway. Thank you Catherine and Creative team for another great year! We could not tell our stories and perserve our wonderful memories without you.Merry Christmas, Happy Holidays and a safe and healthy 2018 to all! Congratulations to all the winners. It was fun to follow each day of creative ideas! Thank you SCT for having such a wonderful magazine for crafty inspiration. I love Taylored Expressions stamps and dies. Thanks for a chance to win this cool calendar stamp and die kit. Congrats to all the lucky winners! Thanks to SCT and Taylored Expressions for this amazing surprise!!! Merry Christmas and Happy New Year to everyone!!! You have to love surprises and a surprise from Taylored Expressions is the best! Thanks for the chance to win! Congratulations to all the winners. Thank you to all the sponsors and SCT for the great giveaways and the inspiration all year long. Also thanks to Taylored Expressions for the bonus giveaway. I hope everyone has a fabulous holiday season. What a beautiful calendar package. Merry Christmas everyone!! Thank you everyone for the congratulations still pinching myself!! Happy holiday and the merriest of Christmas’s to you all. Thank you Taylored Expressions for the extra surprise and good luck everyone! Congratulations to all the winner you will each have many hours of fun with your craft supplies. These prizes were awesome!!! Your sponsors are the best. WOW Taylored Expressions is keeping the fun and the excitement going Wish us all luck this is a great prize…love their products, they are the best. Merry Christmas to all and to all a good Happy New Year. Congrats to all the lucky winners, and a big Thank You to Taylored Expressions for an additional prize! Merry Christmas to All! And thank you Taylored Expressions for this bonus prize!!! Love Love Love Taylored Expressions! Thanks to everyone at SCT for your inspirations and giveaways. Congratulations to all the lucky winners. Merry Christmas and Happy Holidays to everyone! Merry Christmas all and congratulations to all the winners!!! Good luck to all with the additional giveaway! Act and the sponsors are so amazing! Thank you, SCT, for the twelve days of fun! Merry Christmas, Happy Holidays, Happy New Year, Happy Crafting – to all! Love Taylored Expressions and so nice of them to offer an extra prize. Merry Christmas to all who celebrate – have a great day for those who don’t. Congrats to all the winners & Merry Christmas to everyone! Thanks for a chance at the extra prize! To start 2018 with ! Happy New Year! Merry Christmas to everybody!! What a nice surprise! Thanks to Taylored Expressions for the bonus surprise!! Congratulations to all of the winners, and what a nice surprise from Taylored Expressions. Happy holidays to everyone! Taylored Expressions , 1st class company…. Thanks for sharing the love of the industry with all of us. Congrats to all the winners! And how nice to have one more chance to win a prize! Such generous and giving companies! This is a great hobby- the people I have met scrapbooking, card making and doing mixed media are THE ABSOLUTE BEST!!!! Congrats to all the winners! Merry Christmas everyone! Awesome!! Thank you Taylored Expressions for your generosity. Thank you SCT team..you rock!! Happy Holidays to you all and I’m looking forward to all that you have planned in the new year! Congratulations to all the winners! Have fun creating will all your new “toys.” Thank you SCT and Taylored Expressions for adding another chance to win a great prize. Merry Christmas and the Happiest New Year to all!! Thanks for sharing Taylored expressions extra prize with us. Congratulations to all the winners! And a very Merry Christmas to you all! Congrats to the winners! Thank you , TE for the additional giveaway… That fab Display Easel is on my wishlist!! 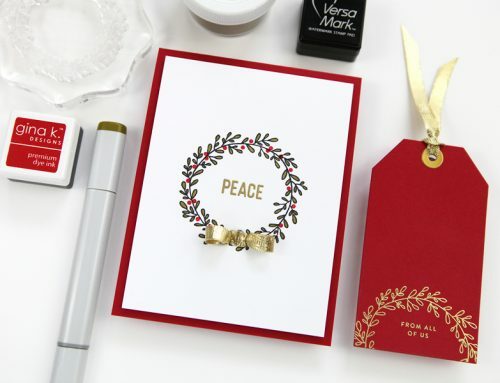 This is the season to be jolly…generous another great giveaway from a fab company. Hope all winners have great fun with their prizes and merry Christmas to everyone.? What a great surprise from Taylored Expressions! Love your stuff! Wow! All those prizes and now a cherry on top from T.E. Congrats to all the winners! Congratulations to all of the winners! Have a Merry Christmas and thanks for another giveaway. Congratulations to all the winners! It has been a wonderful 12 days of surprises and the last one is special. Happy holidays!! Congrats everybody, and thanks to SCT and all the sponsors. Thanks so much to Taylored Expressions for the great calendar prize pack to start the year off right. Merry Christmas! Congratulations to the winners! A big thank you to Taylored Expressions for another chance to win. Merry Christmas Catherine and staff? Congratulations to all the winners! Merry Christmas to everyone! What a nice surprise! Thanks for the inspiration and for the opportunity to win! Thank you so much for keeping this going. What a wonderful combo of treats! Merry Christmas to everyone and best wishes in 2018! A whole fresh year of untold possibilities. Congratulations to all the winner! Merry Christmas! This calendar easel would make a great new year gift for my coworkers! Thank you for the chance to win! Congrats to all the winners!! Awesome Surprise ~ Thank you SCT and Taylored Expressions!!! Merry Christmas to all. Congrats to the winners. Thanks to Taylored Expressions for sponsoring today’s prize. Congratulations to all the winners.Thanks to SCT and the sponsors for the generous prizes. Thanks for offering the giveaway. I would love this wonderful prize pack from Taylored Expressions! Thanks SCT for the chance to win this bonus giveaway. Merry Christmas!! Congrats everyone!!!! I’d love the Tailored Expressions prize, too! Love your surprise giveaways SCT!! Hi! Thank you for the opportunity of playing with the one calendar product from TE I did not buy yet. I love it, too! Congratulations to all the lucky winners of these fabulous prizes. May you all have a joyous holiday season filled with fun and family! Happy holidays to the staff for all of the wonderful items you produce on the magazine. Truly inspiring things. Happy Christmas to all. All the best for 2018! I’d love to win the Taylored Expressions calendar goodies – I make one for my mum every year and this would make it so much easier! What a great surprise! Merry Christmas to all!! congrats to all the winners! I’ve never made a calendar so it would be a great prize to win. Happy Holidays to all! Congratulations to all the winners. Thank you for the chance to win this prize package from Taylored Expressions. Congrats to all the winners. Wishing everyone a wonderful Christmas and a very creative New Year! So excited for the winners! Happy Holidays to everyone! Congratulations to all the lucky winners! Enjoy your prizes!! What a fun week and congrats to the winners! Happy Holidays to all! A BIG congrats to all the winners! Happy holidays to all the team members at SCT. <3 Appreciate your hard work and everything you bring to the table throughout the year. Congrats to all the winners and thanks for another opportunity to win! Merry Christmas to all. Congratulations everyone!! And a BIG thank you to SCT and Taylored Expressions for one more great prize! Congrats to all the winners you will have fun with all those new goodies. Thank you SCT and Taylored Expressions for another chance to win. Merry Christmas! WOW! Congrats to all the winners. .These were wonderful prizes donated. 8 years.. Awesome! And thanks to Taylored Expressions for a wonderful surprise. The complete calendar pack is so beautiful! Merry Christmas to all my friends at SCT. Thanks for the great prizes! It is the season of giving and its so nice if Taylored Expressions to remember the wonderful customers of SCT and stuff!!! There is still a chance for me to win something!! Congrats to all the winners, and Merry Christmas! Congratulations to all the winners! Thanks Taylored Expressions for an opportunity to win such a yummy prize package! Congrats to all! It has been fun the past weeks, thanks for sharing and thanks for another chance to win! Happy Holidays to all!!!! Congrats to all the winners! Have fun with your great prizes! Thanks to all for the great opportunity! Thanks to Taylored Expressions for the surprise! Love the easel & calendars. Congratulations to all the winners and to Scrapbook & Cards Today for all the fun ideas and giveaways! Merry Christmas! Thanks for the surprise giveaway from Taylored Expressions. Thank you also for all the opportunities; congrats to those who won and Merry Christmas to all! Awesome prizes! Congrats to all the winners! One more chance at the Taylored Expressions pack. Merry Christmas to everyone! Great prizes from Taylored Expressions!! Congratulations to all of the winners!!! Enjoy all of your goodies! Thank you to SCT and Taylored Expressions for one more chance to win. So many great prizes and to top it off with TE, what could be better? Congratulations to all the winners. Thanks for the chance to win the fabulous items from Taylored Expressions! Congratulations to all of this year’s winners. Thank you to Taylored Expressions and SCT for this surprise! Happy Holidays everyone! Congratulations to every winner! It is always fun to read the winner’s lis! It is especially fun when a friend’s a name ies on the list! Thank you so much, Taylored Expressions and SCT for giving everyone another chance to win a fabulous prize! It would bee a wonderful way to start 2018! Seasons Greetings to every one from BC! Congratulations to all the winners. Thank you to Taylored Expressions for this surprise! I enjoy your magazine very much, thanks SCT for being so awesome. Congrats to all the winners! I know I’m a winner this Christmas, because my husband is building me a craft room. We took a dungy old office, threw out the desk and file cabinets, etc,. and had it painted a bright turquoise with a new light fixture that really throws its light and new faux cherry wood flooring! Now in the next 10 days, he’s going to make my countertops and built in drawers to make it complete. Right now all my stuff is in the living room, so can’t wait to move in! I know I have to be choosy about what goes in there, but to finally have a home for all my scrapbooking equipment and essentials is my dream. Here’s to all the scrappers/card makers and creative women out there! May their dreams also come true! Thanks for the contest this holiday season! Congratulations to all of the winners! Best of the holidays to everyone! Cheers and Merry Christmas! Congrats to all the lucky winners and love Taylored Expressions. Thank you Taylor, for offering up a fun prize pack of your favorite products from this year. It sure would be great to ring in the new year with this prize. Congrats to all the lucky ladies who won such fabulous prizes! Congrats winners! Giveaways are the best! Thank you so much! Merry Christmas! Oh my gosh! I love those calendars and easel die!! I want to make some of these for my coworkers for the New Year. Thanks so much for the opportunity!! Congrats to all the winners from the 12 days of giving! Thank you for the fun along the way! I enjoyed it immensely! An extra thank you to Taylored Expressions for the chance to win thier big prize! Congrats to all the lucky winners. Merry Christmas. Congrats to all the winners!!! Merry Christmas!! Such a cute prize from Taylored Expressions. Thanks for the surprise give away! Also, congrats to all the winners. Have fun with your new goodies. Happy holidays! A little sad I didn’t win, but trust that the winners will put all the amazing products to good use. Merry Christmas and a very happy new year! Thanks for another chance to win Taylored Expressions. Thanks for the extra surprise! Merry Christmas to all! What a great prize! I would love to win the Taylor Expressions calendar products. Thanks for the chance to win and the great contests you are offering. Happy Holidays! Thank you for the chance to win! This prize would be great to get a good start to the new year! Congrats to all the 12 Days of Christmas 2017 winners! Thanks to SCT and Taylored Expressions for the chance to end the year on a high note by winning the fabulous prize package. Merry Christmas and best wishes for a very happy New Year! Congratulations to all of the winners! Thank you Taylored Expressions for the chance to win this calendar set this will help me plan the new year. Thanks for the great giveaways! Congrats to all of the winners! Thank you SCT and Taylored Expressions for the chance to win this calendar set this is a wonderful prize for the start of a new year. Thanks for the great giveaways! Thank you SCT sndf Taylored Expressions! Congratulations previous winners! Yes please I would love to win the makings of a calendar! What a super surprise!!! The Taylored Expressions gift pack to get our year started off right!! Congratulations to all the winners!!! And Merry Christmas to all! Congratulations to all the winners and Merry Christmas everyone! Taylored expressions produce fantastic products .. some great inspiration there! Love TE Stamps and dies. Their calendar series is so cute! Congratulations to all the winners and Merry Christmas to everyone! What a great surprise for starting the New Year! Congrats to all the winners! Merry Christmas to all!!! Congrats to all the winners. Oh, thanks to Taylored Expressions for throwing in this extra goodie. Those calendar panels are wonderful. I love that easel die. Just imagine all the calendars and cards you can display. Merry Christmas and Happy New Year. Thank you SCT and all of your great sponsors for a fun and fabulous giveaway. Congrats to all of the lucky winners. And thanks to Taylored Expressions for one more fun giveaway. The easel die looks like it could be a lot of fun…and calendars too! Whoo-hoo! Merry Christmas everyone. Thank you for a chance to win. Taylored Expressions is the very best little comoany for special supplies and great customer service! I love TayloredExpressions-used their dies for my Christmas cards-Confrats t all the winners!! Thank you SCT for all the wonderful prizes. And another giveaway from Taylored Expressions awesome. Congratulations to all of the lucky winners!! 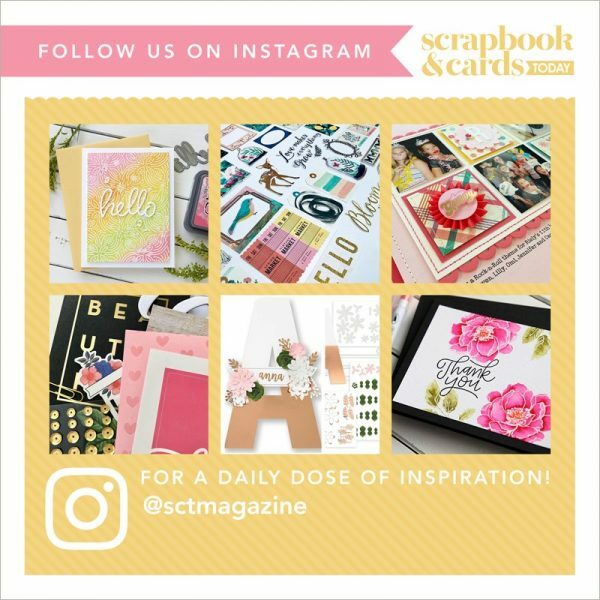 And a great big thanks to scrapbooks and cards today not only for this amazing contest but for all you do all year through to help and inspire the creativeness in all of us! I would just love to win this prize package as I have two children getting married next year and this calendar would certainly help me to stay on track with all of the fun and exciting times ahead!!! Every year I have made a calendar for each of my children with pictures of them. This would be so much fun to make. I love giving homemade gifts. Thanks to Scrapbook and Cards for this wonderful 12 days of giving and to all the sponsors and congratulations to all the lucky winners. We have lots of snow this year and it looks like a fairy land outside. Congratulations winners! I love Taylored Expressions, their products are excellent and they have a great event each year, Stamp Joy that I have enjoyed the past two years. Would love to win!? More prizes, after all of the wonderful prizes for the 12 Days of Christmas? Just wow!! Merry Christmas? and a very happy New Year!! ? Congratulations to all the winners and thanks to SCT and Taylored Expressions for a chance to win the fun calendar prize pack. I make a calendar every year for a friend I used to work with and she looks forward to it and always shows it to her co-workers. Merry Christmas to all. I love tailored expressions products. Especially the calendar. Congrats to all the winners! Such a great Christmas present. Love Taylored Expressions!!! The calendars are so great for gifts! What a perfect gift to start off the new year with! thanks for the chance to win and to everyone Merry Christmas!! Oh my goodness, thank you so much for the nice surprise! So excited to see my name among the winner list. I am so grateful. Thank you again and merry Christmas. Congrats to all the winners! Thank you SCT and all your generous sponsors for the chance to win some wonderful prizes! Merry Christmas!! Congrats to all the winners! Thank you so much for arranging this contest for all of us! Merry Christmas and happy New Years! I got so excited when I saw that iI won that I forgot to congratulations all the other winners! Enjoy your awesome prizes! 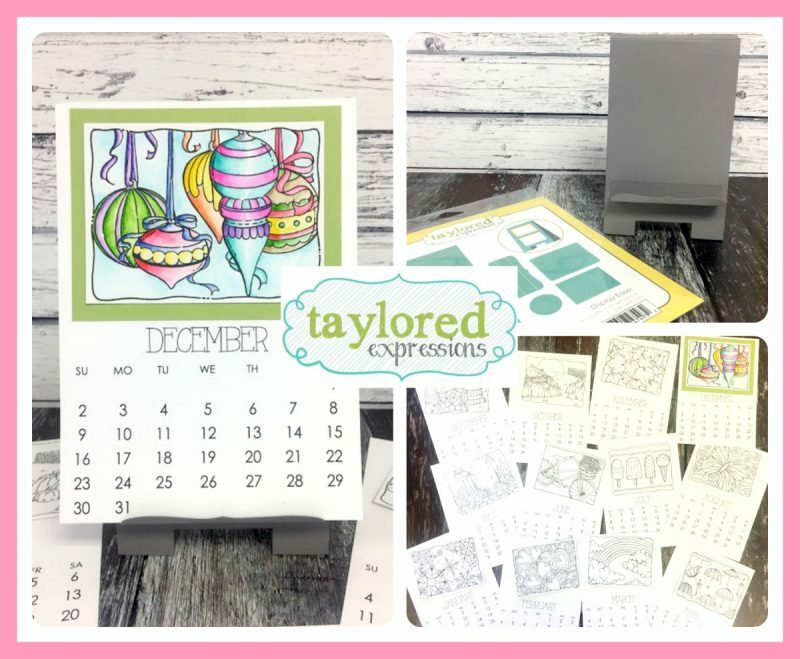 This Taylored Expressions calendar kit would be a dream come true! I would be able to remember things with this front and center on my bedstand! Thank you for yet another chance to win an amazing prize package! Merry Christmas to all the SCT elves! Merry Christmas to all – the sponsors, the winners, and the whole SCT family! Happy New Year and thanks to Taylored Expressions for the bonus prize package! Wonderful holiday wishes! Thanks for the chance to win some of Taylor’s wonderful products. She is so generous. Congratulations to the winners. Enjoy your prized surprises! May everyone have a great, safe holiday season! Congratulations to all the winners! Love, love, love reading SCT! Happy New year to all! Congratulations to all the winners 🙂 And thanks for the surprise giveaway! You guys are awesome! Congrats to all of the winners. Thanks for all the wonderful giveaways and thanks to TE for the current giveaway. Congratulations to all the winners and all the best for 2018 to everyone at Scrapbook and Cards and of course Taylored Expression!! What a fantastic prize to end 2017!! Another great giveaway! Thanks Taylored Expressions! Congrats to all the winners! What fun this give away is and always has been! Congrats to the winners and thanks Taylored Expressions for the chance to win such a wonderful prize!! One last chance to win, and a sweet one! Oooh, this looks like a fun project. Thanks for the opportunity to win. How fun to create a personalized calendar! Thanks for the chance and congratulations to all the winners! Thanks SCT! Would love to practice my watercoloring on those cards! Thanks Taylored Expressions & SCT! Congratulations Winners!! looking forward to a creative 2018! Congrats to all the winners. Wish I had had the time to read all the posts and enter the contests. Thank you SCT for an incredible year and I look forward to 2018 with you (2 great events). Thank you to Taylored Expressions for one last opportunity to win. Happy New Year!! Congratulations to all the lucky winners! Thanks, S&CT for all the wonderful prizes and the chance to win yet another one. Would love to win the calendar products by Taylor Expressions. What a great company to offer another prize to S&CT readers! first congratulations to all the winners. would have loved to have been among them. First time seeing Taylor Expressions, and these calendars would be a great gift for me to whip up for a certain special person. Congratulations to all the lucky winners! I hope everyone enjoyed their Christmas. We had another extremely hot day here in Australia ? ?…..plenty of beach and pool time had by all! Happy New Year to all. Thanks for the chance to win this adorable set from Taylor Expressions! ? Wow congratulations to all the winners ! Thanks for a last chance to win a grey prize from Taylored expressions ! Thank you so much for the chances to win and congratulations to all the winners!! Kat in Texas! This is a great gift from Taylored Expressions. I would love to win it!! Congratulations all you lucky winners! Thank you so much also for offering up a bonus. Taylored Expressions makes wonderful products – I have a number of their dies and several stamps sets I think. That easel die really intrigues me – I love the use of it for the calendar, but I would love to have it for mixed media displays – how fun! Congrats to all the winners! So many days of giveaways! Thanks! Congrats to all the winners!! And a huge thank-you to all the great companies that allowed all of us the chance at your fabulous products!! Congrats to all the 12 Days winners! I’d love to be lucky # 13!!! Congrats to the winners! Thanks for another chance to win SCT! wow! SCT always have amazing prizes. thank you so much for the awesome chances to win these goodies!!! Happy 2018! Congratulations to all the winners! What a fun after Christmas gift that is. Thanks for this chance to win! Wow! Congrats to the winners! And thanks for the chance to win one more fabulous prize. Congrats to the winners. I would love to win today’s giveaway! Thank you for the chance! Congrats to all the lucky winners. Thanks for another chance to win!!! Congratulations to all the winners!! Thank you for another chance to win! 🙂 I was busy leading up to Christmas and didn’t get a chance to enter the 12 days. Hope everyone had a wonderful Christmas and are enjoying the holidays with family and friends. Thanks for all the inspiration & great prizes. Wow, another year of fabulous prizes. Sadly, time got away from me and I didn’t get my name in for the prizes. Congrats to all the winners, the prizes all looked great. Thank you to Tailored Expressions for the chance to win another great prize pack. Hope everyone had a great Christmas and will have a wonderful and safe New Year! The calendar looks like a lot of fun for the year to come. Thanks for the chance to win! Congratulations to all the winners. And a HUGE thank you to all the sponsors. SCT you do a fabulous job of sharing ideas and products to encourage others to try new ideas. All the best if the Season May Health, Happiness and Family be yours to share. Colouring is so relaxing! Love this monthly fun! What a great time we have all had with SCT and all the wonderful sponsors! Congrats to all the winners, and can you believe it … one more “give-away” Thank you Taylored Expressions! Wishing you all a joyous New Year. Be safe and enjoy! Congratulations to al, the winners – and such a great prize from Taylored Expressions. I just finished making 50 easel calendars without a die – using their mini calendars. Having that prize package would make it so much easier next time! Congratulations to all of the winners. I’ve been out of the creative loop, but hope to be a lot craftier in 2018! Wishing everyone a blessed New Year! Ooooooo, love Taylored Expressions! Would love this, need some new calendars! Congratulations to all the winners. And thank you SCT and Taylored Expressions for a chance to win another amazing prize. Winning it would be a great way to start the new year! Thank you SCT and to all the vendors for these fun give-a-ways through Christmas & New Year’s. This calendar bundle is really cute – would be super awesome 🙂 Happy New Year everyone! You all are so generous with inspiration all year, and the prizes are just the star on top of the tree. Thanks for the opportunities to win. Looking forward to a great 2018 here. Happy New Year to you and your family, Catherine. We appreciate all that you do for us. 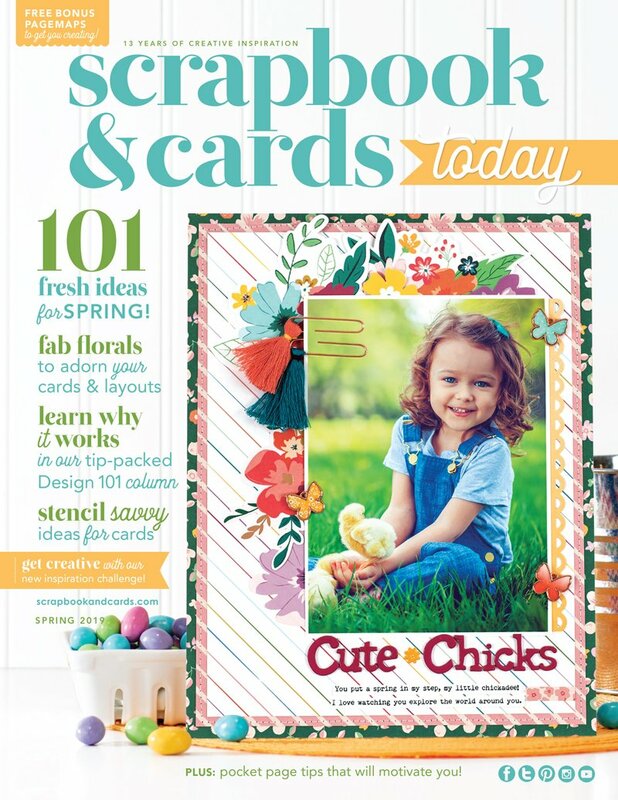 I am looking forward to another great year of Scrapbook and Cards magazines and Crop & Create events. Thanks so much! What a fabulous bonus gift. Merry Christmas and thank you SCT for your great publication and amazing kits and classes . Happy New Year to everyone! Sadly I missed out on the 12 days of giving, what terrific prizes, congrats to all the winners. Thank you to Taylored Expressions for another opportunity to win a prizes and how cute they are too!! I hope 2018 is a great year for everyone. Can’t wait to see what new products will be available in 2018. Thanks SCT for keeping all of us informed. the giveaways have been so very fun….I learned a lot about other companies, saw some great projects and really liked reading many of the comments from other crafters. Thank you.